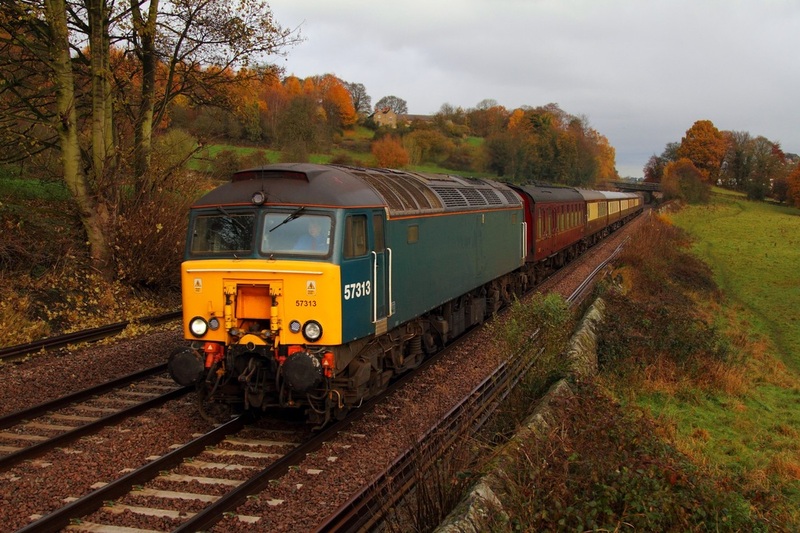 Plain Arriva Blue 57313 leads WCRC 57314 on the 1Z68 Scarborough to Oxford at Chevin near Duffield on the 23rd November 2013. 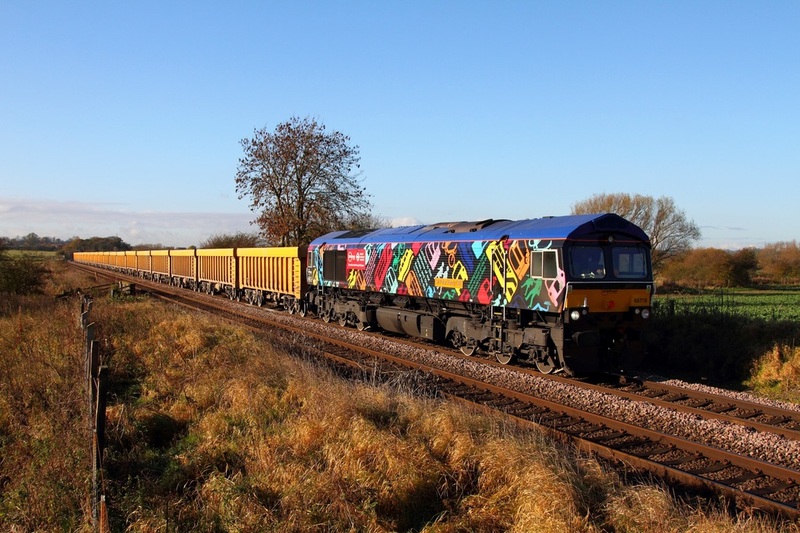 New London Transport liveried 66718 leads the delayed 6L76 Stud Farm to Whitemoor at Copleys Brook near Melton Mowbray on the 23rd November 2013. 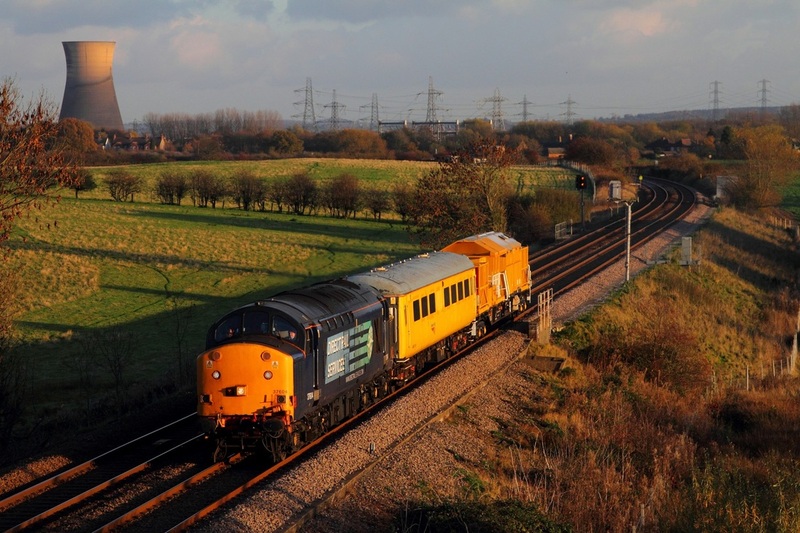 DRS 37604 leads the 6Z00 Derby RTC to Slateford snow train at Willington on the Uttoxeter line on the 21st November 2013. 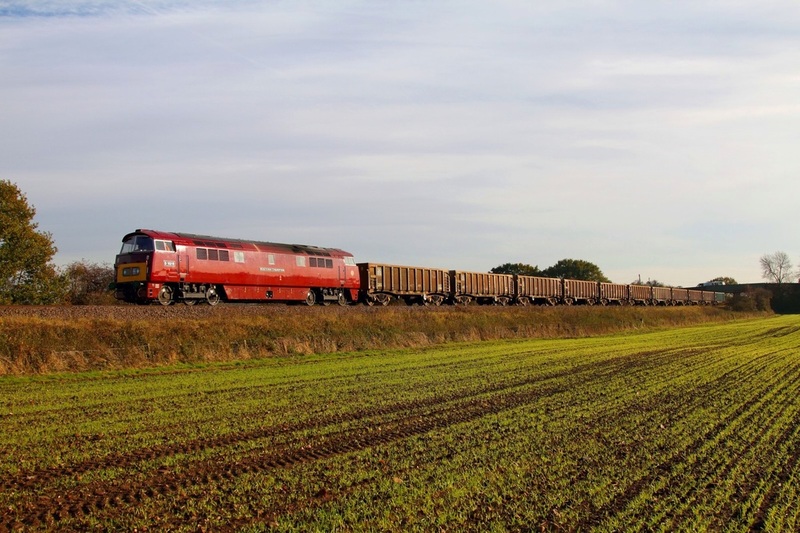 D1015 Western Champion strolls through Cossington as it approaches its near destination of Mountsorrel, working the 6D02 ex-Wellingborough on the 19th November 2013. 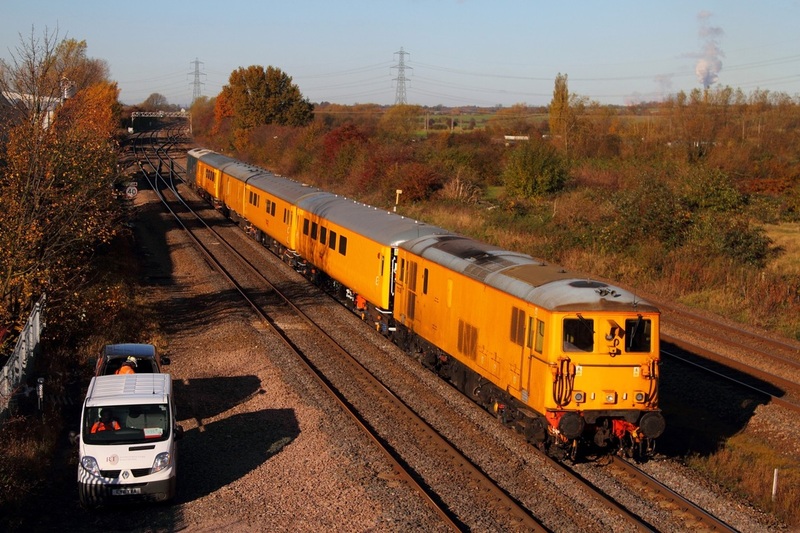 Network Rail 73138 leads 73201 on the 3Z03 Derby RTC to Hither Green at Loughborough on the 19th November 2013. The 'EDs' only made it as far as Leicester before they turned back to Derby. 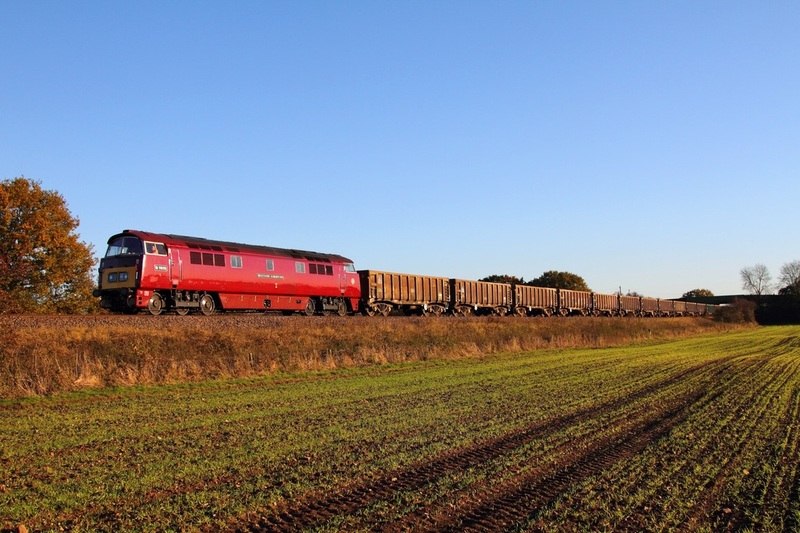 D1015 Western Champion works the 6D02 Wellingborough to Mountsorrel at Cossington on the 13th November 2013. 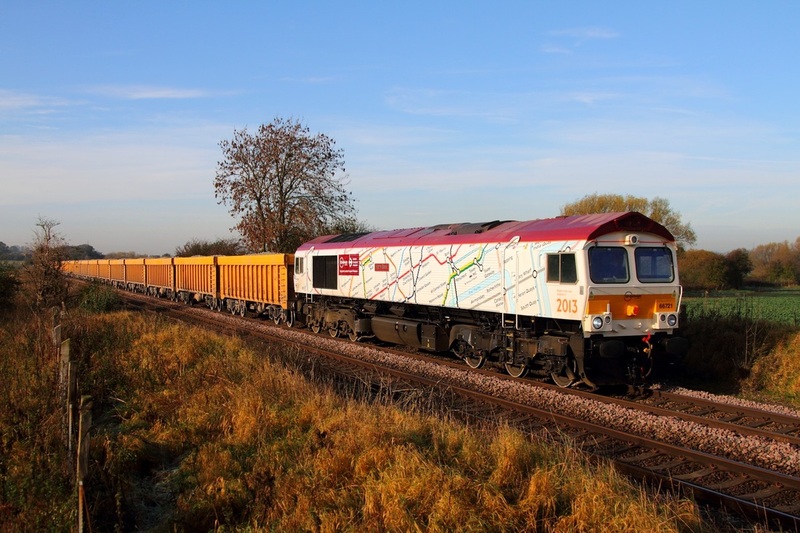 GBRf new London Underground map liveried 66721 hauls the 6L76 Stud Farm to Whitemoor at Copleys Brook near Melton Mowbray on the 13th November 2013.